Complete this form, and we'll send you your FREE copy of the ebook that's all about making THE SHIFT. You can unsubscribe at any time. Thank you. Thank you! Check all your email folders (spam, trash, promotions) for a message from us with the link to your ebook. Send me my copy, please! 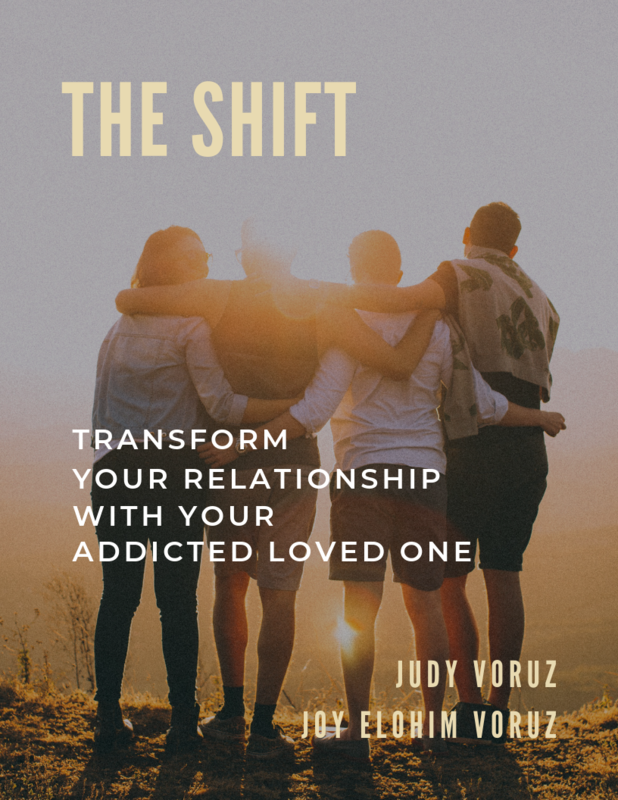 Judy Voruz developed an approach called Wise Caring out of a desire to offer families a more compassionate and insightful way of relating to an addicted loved one. It presents an alternative to traditional family treatment models that focus on family members as codependent enablers. Wise Caring provides a new frame and framework for families to see the positive aspects of their caring while learning to direct it in more effective and life-enhancing ways. Through acknowledgment and wise channeling of your deep and sacrificial caring, you will begin to have a different relationship with yourself and your loved one. Let’s look more closely at how this works.